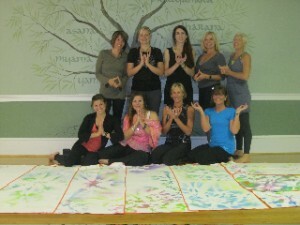 At Etowah Valley Yoga we have been teaching yoga students to become yoga instructors! Since our program began we have graduated many local teachers, and some as far away as Athens and Stone Mt. Students travel to attend Etowah Valley Yoga! 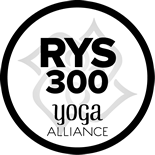 Our curriculum meets or exceeds the Yoga Alliance standards in all areas. It is a blend of my background in yoga, including Iyengar and Integrative Yoga Therapy. Because of my extensive background- I have been practicing for 20 years and teaching since 1999- I was able to design a program that teachers HOW to teach. Our yoga teachers are successful! Many have become studio owners or make a living as independent teachers. We have teachers in athletic group classes, corporate yoga, and private session. Most of my 200 hour graduates have continued on in the 500 hour program, ours being one of the few in the state of Georgia. At Etowah Valley Yoga we teach all the necessary skills to teach yoga. See below some testimonials from my graduates. Take a look at our successful graduates! We are an MYCAA approved school (for spouse of active military). 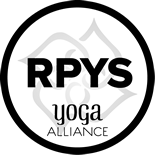 “Knowing that Yoga would be a lifelong study/practice of mine, I was pleasantly surprised to find that working on on my 200 hour certification as a Yoga instructor with Sue Hopkins would be so enjoyable and provide so much growth. I believe I was lucky to take this course at Etowah Valley Yoga. Sue embodies yoga. She has the knowledge and presence to teach and share Yoga fully. 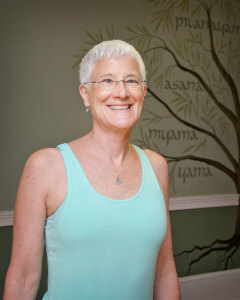 “Honor for those who embody noble qualities”, can begin to describe, and is fitting for a Yoga teacher such as Sue. I wanted to share with people what I had learned about yoga. I got my certification at Etowah Valley Yoga and have taught yoga for a year now and it is everything I had hoped and more! I want to thanks Sue Hopkins, my teacher and mentor, for her work and her studio. I don’t know if she realizes what an “oasis” her studio is- and what a gift she is to all of us in this area. She has followed her dharma, to my and many, many other students benefit. She is an amazing, inspiring teacher. In my effort to “give back” to Sue, and to the Universe, I do my best to teach what I have learned at Etowah Valley Yoga. Sue, I wanted to say thank you for the wonderful experiences in teacher training. I am so grateful to have been able to attend the course with you as my mentor and guide. Thank you for all that you have shared and the never ending generosity of knowledge and tools you passed along to us all. Anyone who simply listens to your words will quickly know the passion for Yoga that you freely and joyfully put on display. From each encounter with you, I have found myself a step closer to being a fulfilled man. My journey into yoga did not start and will not end at Etowah Valley Yoga but I most certainly will always hear you in the back of my mind saying… “You must practice what you teach”, “Teach action words for every asana”, “Start at the base of the asana and work your way up” and of course “May you live with ease”. When I first sought out Etowah Valley Yoga I questioned the hour and half drive north up interstate 75 from Johns Creek. After just the first weekends I was convinced that I had made the right choice and never gave it a second thought. I look forward to attending your 500 hour teacher training program and continuing to learn from you.